Cheap Life Insurance - How can I find Cheap Life Insurance? Home > How can I find Cheap Life Insurance? Life insurance serves as a type of financial safeguard for families and individuals who have expenses that would need to be taken care of in the event of their sudden demise. The types of policies, as well as premiums vary substantially based on the type of life insurance and the amount of coverage required. The Internet contains several online resources that enable consumers to educate themselves about life insurance, to make sure they are fully prepared to get the cheapest price possible for the highest quality level of benefits when making a buying decision for life insurance. Term life insurance is the least expensive type of coverage, which is its main advantage. When paying a low monthly premium for life insurance, a consumer has additional money to invest for retirement, pay off debt and save for future college expenses. Term insurance makes sense for families and individuals who have expenses that will be paid off within a set number of years. Having term insurance in place until major debts are paid off and retirement savings are adequate, then allows policyholders to discontinue paying their term insurance, knowing they have enough financial resources to take care of any remaining expenses if they should die. Term insurance policies can be had for as little as $31 per month for coverage amounts of $500,000, providing policyholders a large degree of comfort for about the cost of a monthly dinner night out for two. There are several different types of permanent life insurance. Each type has different features, with a common theme of a defined death benefit and an investment or savings vehicle, both combined in the same policy. A permanent life insurance policy gives individuals a way to have permanent death benefits that never expire as long as the policy is paid, as well as an investment that usually earns a stable rate of return comparable to an investment and low-risk securities such as bonds. Permanent life insurance policies, depending on the amount of coverage required, can cost substantially more than term insurance, however consumers must weigh the options of each type of policy before choosing. A life insurance policy represents an important part of any individual’s financial planning. In the event of an insured person’s demise, any debt, estate planning or income replacement will be taken care of by the proceeds from a life insurance policy, thereby preventing financial disaster for the remaining spouse and children. Additionally, a remaining spouse left to raise children may not have the resources to fund college tuition for them, and estate taxes may be large if many assets are being passed on to heirs. 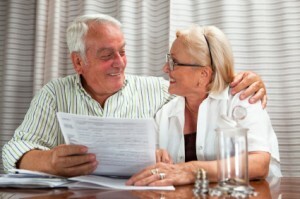 These expenses, as well as funeral expenses are provided for with life insurance. According to an article published by USA Today, approximately 30 percent of households do not have life insurance. The percentage continues to rise as Americans continue to do with less in a tough economy. The value of typical assets that families rely on for wealth preservation has also shrunk, with retirement savings and homes losing value as well. If the family breadwinner should die, this could mean less money for the remaining family to survive on. Many people think life insurance is only for families. Single men and women, as well as mature adults can benefit from life insurance as well. If an individual has debts that have not been paid off, these might get passed onto surviving parents or other relatives if no life insurance proceeds cover the expense. Additionally, final expenses such as burial and funeral costs can be covered instead of becoming a burden to surviving family members. Insurance buyers do not need to settle for just one type of insurance policy. They can take out a smaller permanent life policy to receive some of the benefits of permanent life insurance, and reduce their overall cost of life insurance with the purchase of a certain amount of term life insurance until major debts are paid off. Several strategies exist to help keep life insurance costs low. Consumers can start shopping around after getting familiar with the different types of life insurance policies. Each life insurance company has its own internal models and statistics that determine the policy premiums for each customer. Since each company’s methods vary somewhat, the same person may find a range of prices quoted for the same type of insurance coverage from different life insurance companies. Following are other ways to lower premiums. Bundling insurance policies is another way to receive discounts on life insurance. Insurance companies that offer homeowners, auto and health insurance can bundle different products together for a discounted rate. Be astute when working through policy specifics with an insurance agent. An individual only needs to pay for the amount of life insurance that is right for their situation, without adding unnecessary frills and features that push the costs up little by little and end up exceeding the customer’s insurance budget. Decide whether term life is the right choice for immediate coverage needs, since this coverage is definitely less expensive than permanent life insurance. Change daily habits in order to become a lower risk for insurance companies. Exercising, switching to a healthy diet and losing weight can qualify individuals for lower premiums. Obesity has been identified as a significant factor in many illnesses, and insurance companies will charge higher premiums to those they think fall into the obese weight category. Quitting smoking can also have a substantial impact on reducing life insurance rates, and the longer an individual has gone without smoking, the lower premiums will be. Buy life insurance while still young. The earlier life insurance is purchased, the lower the rates will be. Getting into an insurance policy at a young age, while in good health can lock in cheap rates for the entire life of insurance policy. Some insurance agents suggest individuals should plan to purchase life insurance by age 35 to get the cheapest rates possible. Life insurance companies also factor in an individual’s driving record, since drivers with speeding tickets are accidents represent an increased risk to a life insurance company. Before selecting a life insurance policy based strictly on cheap premiums, it helps to figure out how much life insurance is actually necessary. Consider all expenses, savings, debt, investments and any other assets to get the real view of how much life insurance coverage is necessary. Many online financial websites have online calculators to help consumers calculate the level of life insurance needed for their situation.